It’s goat grazing time! 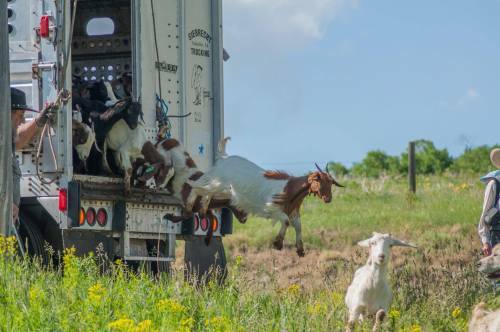 Over 400 goats at the Bozeman Fish Technology Center in Montana are helping to control noxious weeds and manage brush overgrowth. The cooperative effort with partners, including the Montana Outdoor Science School and Friends of the Bozeman Fish Technology, will help reduce the presence of undesirable vegetation (without using chemical herbicides), assist with fire protection by reducing burnable plant biomass and promote the restoration of native plants.